Have a photo of this soldier? Have a bio or obituary of your ancestor? If you send it to me at dnichols28@verizon.net I'll post it on this website. 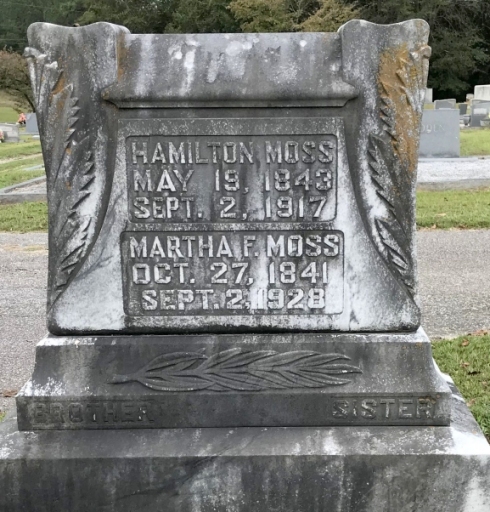 Honoring and remembering the Moss brothers, Private Hamilton Moss and Private Benson Moss of Company F, Thornton's Line Volunteers, from Hart County, Georgia. Both brothers were captured at the battle of Gettysburg, on July 1st, 1863. Benson died at Point Lookout Prison Camp in Maryland, in 1864. Hambleton survived the war and lived another 53 years after his brother's death, dying in 1917 in Elbert County, Georgia. Moss, Benson - Private 3//1/1863. Captured at Gettysburg, Pa. 7/1/1863. Died of disease at Point Lookout, Md. 7/1/1864. Buried at Point Lookout Confederate Cemetery Scotland, St. Mary's Co., Maryland. 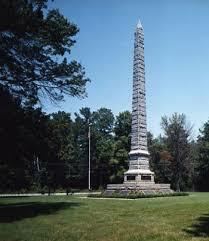 His name does not appear on the CSA monument at the cemetery, but many Confederate soldier’s names are not recorded. Born in Ga. about 1825, resident of Hart Co. in 1860. Brother of Hamilton Moss shown below. Moss, Hamilton (Hambleton Moss) - Private 5/10/1862. Captured at Gettysburg, Pa. 7/1/1863. Released at Fort Delaware, Del. 5/11/1865. Born in Elbert Co. 5/19/1843, died 9/2/1917, buried at Hillcrest Cemetery, Elbert Co. Ga.